Series : Book 4 of "Firefly Hollow" After a cutting betrayal by the father of her child, Emma Campbell swore off men. Convinced she’d never find the kind of love her parents had, Emma devoted her life to raising her daughter and building her business. Surrounded by a close-­knit family who loved her, she ignored her loneliness. Until the day family friend Archer Gibson kissed her. Archer had been in love with Emma since the first day he'd laid eyes on her five years ago. He'd never acted on that love, not feeling worthy of Emma's attention, but now that he'd made some changes in his life, he was ready to go after what he wanted most--­a place in her life and in her heart. His biggest obstacle? Convincing Emma they both deserved a chance at happiness. 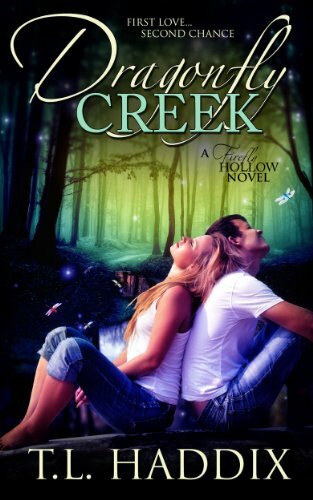 "Cattail Ridge" is the fourth book in the "Firefly Hollow" series. Other titles include "Firefly Hollow,­" “Butterfly Lane,­” "Dragonfly Creek,­" and "Cricket Cove.­" Set in Appalachia, the series follows the Campbell family from . . .
Series : Book 5 of "Firefly Hollow" The baby of the family, Daddy’s little girl… a lonely woman who deeply, desperately longed to be loved. Amelia Campbell was all that and so much more. A natural Cupid, she’d paired up several couples through the years. The only person she couldn’t seem to find a mate for was herself. Until he came along… the last person in the world she should fall for.­Logan Gibson was as far from Amelia in life experiences as he could be. Battle-­scarred and life-­hardened, he was having trouble reconciling himself to life as a civilian. He’d seen too much of the dark side of people to believe in what she represented, and he just wanted to be left alone. Instead, he found himself returning to her time and again.­Amelia was well aware he’d never choose someone like her. Logan knew she was too young, too innocent for him. But despite that knowledge, they were drawn to each other. When danger rears its ugly head, it takes both of them to figure out a way to protect . . .
Detective Stacy Kirchner has given up on finding Mr. Right. Convinced a happily ever after simply isn't in the cards for her, she focuses instead on building her career and making her small house a comfortable home to share with her cat, Chloe. Without warning, she finds herself thrust into a world filled with uncertainty and deception. Struggling to keep ahead of a malicious prankster hell-­bent on destroying everything she’s worked for, Stacy is blind-­sided by her feelings for dark and mysterious Galen Gordon. After a series of devastating losses, Galen Gordon is moving forward. The former FBI agent is settling comfortably into life in small-­town southern Indiana. He’s finally ready to risk losing his heart again, to reach for what he wants--­a life with Stacy. All he has to do is convince her the idea has merit. That, and keep her alive in the face of growing danger. 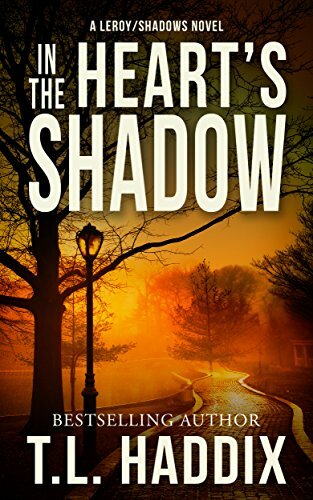 “In the Heart’s Shadow” is the fifth book in the Shadows Collection, a series of novels by author T. L. . . .
Genre Romance with paranormal elements. The mysterious recluse Owen Campbell holds himself apart from other people. Badly scarred from emotional wounds that have never healed, he doesnt expect to find true love or happiness. He remains isolated in a prison of his own making, determined to not let anyone close enough to hurt him again. But his willpower is shaken to the core when Sarah Browning enters his world. The girl next door Sarah Jane Browning is three years into her college degree when a call from home changes everything. Back at the family homestead in the heart of Appalachia, shes forced to reevaluate her hopes and dreams for the future. Distraction from her heartache comes in the form of her parents neighbor. Whispers about odd Owen Campbell abound in their small community, and Sarahs curiosity is aroused. When she breaks the rules and trespasses onto his land, what she finds is beyond her wildest imaginings. As Sarah struggles to overcome tragedy and loss, her . . .
Genre Romance with Paranormal Elements What do you do when the person you love, the person you share a life with, decides things just aren't working for them That's the dilemma facing John Campbell. As the oldest of Owen and Sarah Campbell's five children, John had long worn and accepted the mantle of responsibility. But five years into his marriage, things fall apart. Through his own actions, the life he has built is in shambles, and John is left trying to figure out what to do with himself. Zanny Franks Campbell loves the family she and John have built with their children. She believes she's happy until the day everything falls apart. In the aftermath of a personal tragedy, she realizes that in order to go forward, she and John have to fix what's broken. But John isn't talking to her, and no matter what she tries, she can't seem to get through to him. To have a future together, they first have to learn to live without each other. And once they start down that road, neither . . . The baby of the family, a shapeshifter, Daddy’s little girl… a lonely woman who deeply, desperately longed to be loved. Amelia Campbell was all that and so much more. A natural Cupid, she’d paired up several couples through the years. The only person she couldn’t seem to find a mate for was herself. Until Logan Gibson came along… the last person in the world she should fall for. Logan was as far from Amelia in life experiences as he could be. Battle-­scarred and life-­hardened, he was having trouble reconciling himself to life as a civilian. He’d seen too much of the dark side of people to believe in what she represented, and he just wanted to be left alone. Instead, he found himself returning to her time and again. Amelia was well aware he’d never choose someone like her. Logan knew she was too young, too innocent for him. But despite that knowledge, they were drawn to each other. When danger rears its ugly head, it takes both of . . .
Book Four in the Firefly Hollow series. After a cutting betrayal by the father of her child, Emma Campbell swore off men. Convinced she’d never find the kind of love her parents had, Emma devoted her life to raising her daughter and building her business. Surrounded by a close-­knit family who loved her, she ignored her loneliness. Until the day family friend Archer Gibson kissed her. Archer had been in love with Emma since the first day he'd laid eyes on her five years ago. He'd never acted on that love, not feeling worthy of Emma's attention, but now that he'd made some changes in his life, he was ready to go after what he wanted most--­a place in her life and in her heart. His biggest obstacle? Convincing Emma they both deserved a chance at happiness. 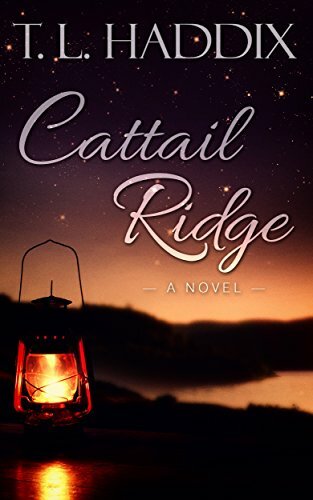 "Cattail Ridge" is the fourth book in the "Firefly Hollow" series. Other titles include "Firefly Hollow,­" “Butterfly Lane,­” "Dragonfly Creek,­" and "Cricket Cove.­" Set in Appalachia, the series follows the Campbell family . . .
Book Three in the Firefly Hollow series. 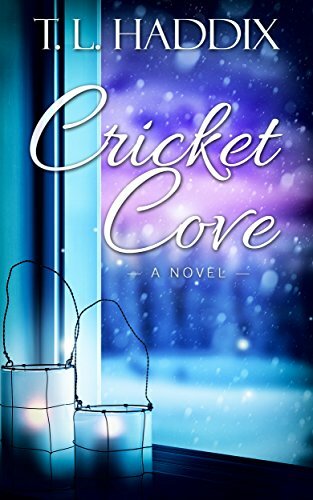 When Ben Campbell returns home to Hazard, Kentucky after a five-­year absence, the last person he's expecting to run into is the girl who broke his heart - the girl who left town and married someone else. He's done his best to move on, but he knows he's only been going through the motions of living. Determined to exorcise Ainsley’s ghost, he approaches the young widow with an offer for a steamy liaison to do just that. Ainsley Brewer Scott carries a lot of weight on her shoulders, weight that’s left deep emotional and physical scars. Her dreams of an everlasting love with Ben were dashed thoroughly, thanks to her malicious and conniving mother. Back in town to wrap up the old woman's estate, Ainsley's world is turned upside down when she sees Ben. And when he propositions her, he lights a match to her temper that flames into a burning attraction just as strong as what they shared years earlier. When the truth behind Ainsley's . . .